I live in the West coast. Why is your scheduled program not on? If you live on the West Coast and have DirecTV or Dish Network, what you are experiencing is normal. Both The Dish and DirecTV carry only our East Coast feed. 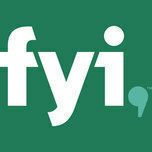 This means that you receive FYI's programming as it is aired on the East Coast. Your local cable system, on the other hand, is likely to be carrying the FYI West feed, which is the same schedule offset by three hours. While your local TV guide will accurately show times and listings for the local cable systems in your area (which carries our west coast feed in all likelihood), you?ll need to use listing information from DirecTV or DISH Network to get accurate show times for FYI programming. If you're not sure which feed you are receiving, please contact your local cable or satellite provider for details.